In April 2017, we celebrated the first day without coal in Britain. Being the first continuous 24-hour coal-free period for Britain since use of the fossil fuel began in 1882, it marked a significant milestone in the country’s march towards a low carbon economy. In 2017 renewables’ share of electricity generation hit a record 29.4 percent – showing a 4.9 percentage points’ increase on the 2016 share. With nearly a third of the UK’s electricity now being generated by renewables, the UK’s renewable energy sector could be considered an industrial success story, attracting investment, creating new jobs, and powering the economy. So why is a famous brand such as Ben & Jerry's joining a campaign to support onshore wind farms in the UK? Some of us may find it unusual that the Ben & Jerry's brand takes such a firm stand on environmental issues, but this Unilever ice-cream brand has a long history of campaigning on climate change and environmental and social issues. In fact, the section of the Ben&Jerry’s website dedicated to Issues We Care About covers themes such as Fairtrade, Marriage Equality, Refugees and Climate Justice. In marketing jargon the fact that a brand has a clear point of view on the world and acts according to its own values and beliefs is called 'Purpose'. Purpose encompasses more than corporate responsibility, sustainability or cause marketing. It is the commitment of the brand to act beyond profit and growth, to operate according to fundamental principles that aim at growing the business while having a positive impact on society and the environment. Having a social purpose helps brands such as Ben & Jerry’s build a relationship with customers that transcends sales transactions. 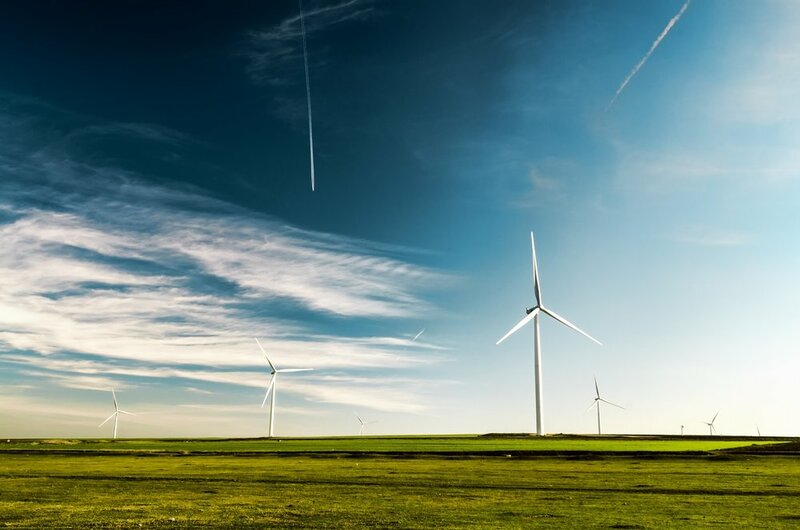 The reason behind Ben&Jerry's decision to support onshore wind farms can be found in the changes in renewable sources policy implemented by the Government in 2016. Wind plays a special role within renewables sources. As the windiest country in Europe, wind power has been a vital part of the UK's route to meeting its climate change targets. The UK has the 6th largest collection of wind turbines in the world. These wind turbines produce around 12 percent of the UK's electricity each year, with this figure rising to as much as 30 percent on particularly windy days. Onshore wind is the cheapest form of renewable power, so it plays a crucial role in keeping consumer bills down. A report published this week, commissioned by energy firms, affirms that by investing in onshore wind households would save £1.6bn on energy bills between 2019 and 2025. Despite all the positive aspects of onshore wind power, the cuts in subsides and planning barriers put in place by the Government since 2016 has led to a sharp decrease in investments of this type of renewable energy. A whopping 76 percent of the UK population support onshore wind power, and the campaign Blown Away by the climate change charity 10:10 is therefore petitioning the government to remove the blocks to onshore wind power. Ben & Jerry’s have chosen to support the Blown Away by tweaking the names of some popular flavours and by celebrating "windy Wednesdays" offering its wind-themed range at half price. The campaign will also feature a tour of the UK, including London, Birmingham and Bristol, to encourage people to take action supporting the technology and sign to the petition by 10:10.